Mom, the Intern: Last-minute Christmas gifts from Amazon Prime! Last-minute Christmas gifts from Amazon Prime! This post contains affiliate links. Lots of 'em. As a musician, the month of December is exceptionally crazy for me every year. Concerts upon concerts, recitals, Messiah sing-alongs, planning for church services ... I'm up to my neck in musical activities! By the time mid-December rolls around, I inevitably realize I haven't finished my Christmas shopping and sometimes have yet to even begin. Whoops. If you're in the same woefully unprepared boat as me, here's a quick list of unique and thoughtful gifts you can get right now on Amazon Prime. Procrastination won't be your demise today! I've blogged about this one before as a Friday Favorites, but I can't sing its praises enough. The Orabrush is the ONLY answer to bad breath. Just trust me on this one. All other tongue scrapers are inferior, and brushing your tongue with your toothbrush just doesn't cut it. 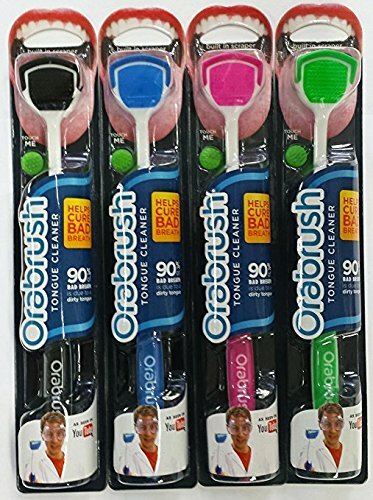 Everyone needs an Orabrush. Make it a family affair and buy a multi-pack. It makes a perfect stocking-stuffer! I didn't think I needed this. I really didn't. I don't forget to thaw my chicken -- oh wait, yes I do. I forget all the time. And dinner is one of those things that takes ages and I dread making it. Dillon picked up one of these bad boys on Black Friday and let me just say ... TOTAL GAME-CHANGER. I've only had mine for a few weeks and I'm excited to use it to its full potential. 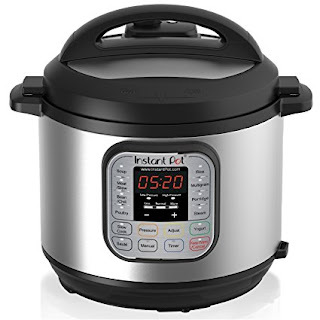 But yes, the other night when it took four solidly frozen chicken breasts to fully-cooked and deliciously juicy in under 15 minutes, I knew I'd discovered the secret to success ... it's the Instant Pot! This one, I can't take credit for. My friend Brandilyn (find her on Instagram at @thedailybran) talked these joggers up BIG TIME when they were at Costco (they still might be). When I saw them at Costco a few weeks ago, I remembered her post and checked them out. I knew they would become my go-to pants. So I picked up a pair of black ones (they were only $10 then!!!) and quickly fell in love. They're thick, but not too thick. They're comfy, but the tech material is nice enough to be dressed up or down -- very versatile. POCKETS. Perfect rise. I flipping love these pants, and so will you! If game night is a regular occurrence in your family or circle of friends, you need this one! 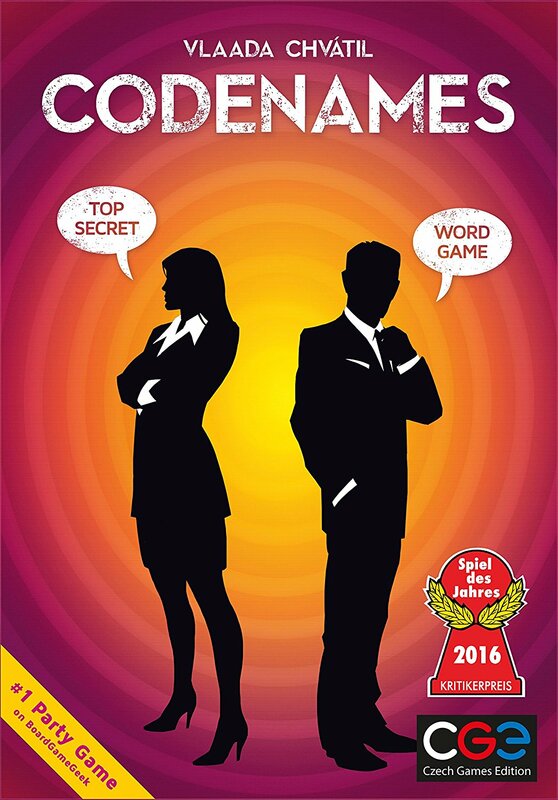 I've played Codenames a few times now, and every time I enjoy it more than the time before. 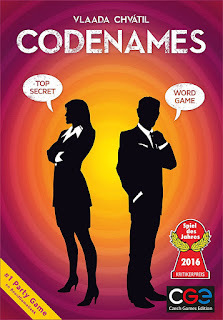 It's a critical thinking game based on words and it's a BLAST. It's both competitive and cooperative, and it can be played with rather large groups of people. They also have a Disney version I'm considering getting for my family so the kids can get in on the fun! This mobile Bluetooth speaker is awesome! The sound is so crisp and lively with a nice, solid bass. I love that I can take it anywhere in my house. It's also waterproof so you can take it poolside or out on the lake. And the best part is, the battery lasts FOREVER. I rarely have to charge mine. I use it during my voice lessons, while I'm making dinner, for impromptu dance parties ... anything that calls for music, the UE BOOM rises to the occasion. Can I tell you a secret? We don't have cable. We don't even have an antenna. Whenever we're watching something on TV, it's through this little gadget. It allows you to download apps for streaming services, like Netflix, Sling, ESPN and Hulu. And, if you have Prime, you can access content on Amazon Video for free! "But, if you don't have TV, how do you watch General Conference?" you smugly ask. Well, there's an app for that -- actually, two! BYUtv or the Mormon Channel, take your pick. I thought I would miss having cable news, but it turns out I get most of my news from the Internet. And if I really want to watch something, like a political debate or the Olympics, I can stream it through any number of apps. 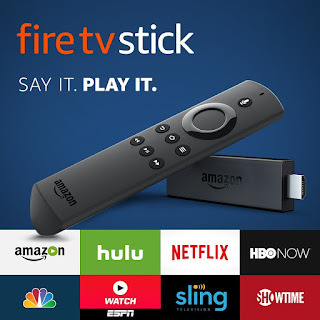 The Fire TV stick and similar devices have revolutionized television. Kiss your cable bill goodbye this Christmas and get yourself one of these!